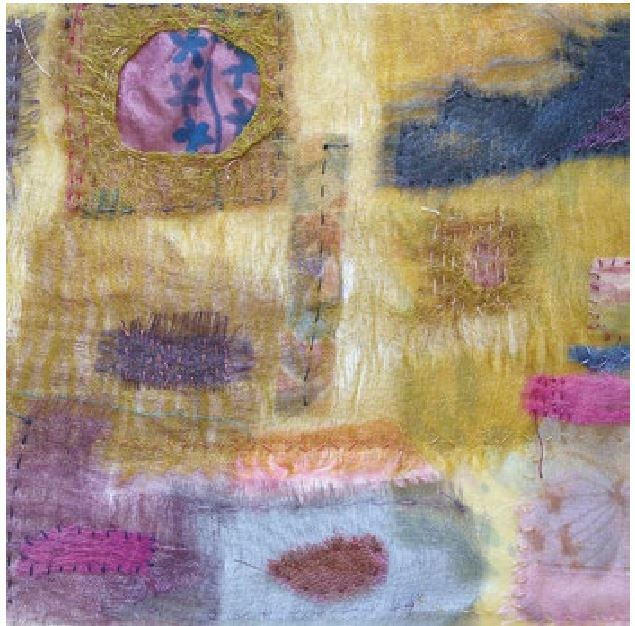 Julie studied Art and Textiles at the Isle of Man College and as a distance learning degree with Julia Caprara’s Opus school in London. 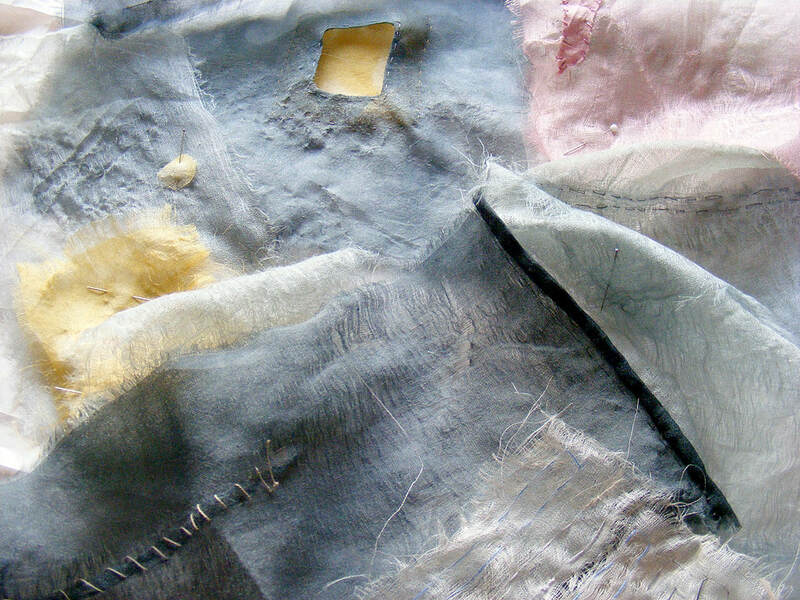 Through this study she exhibited in Shoreditch, London and around the UK with the Prism group. 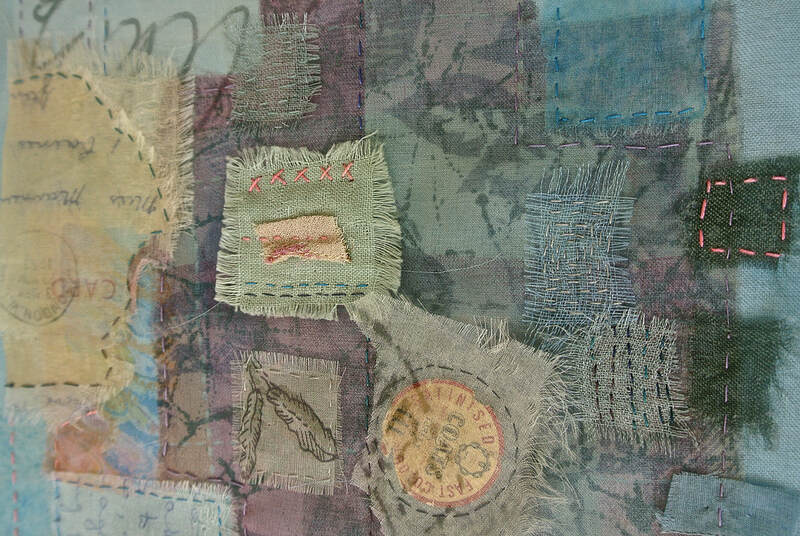 Julie shows how cloth holds memories and the passing of time. 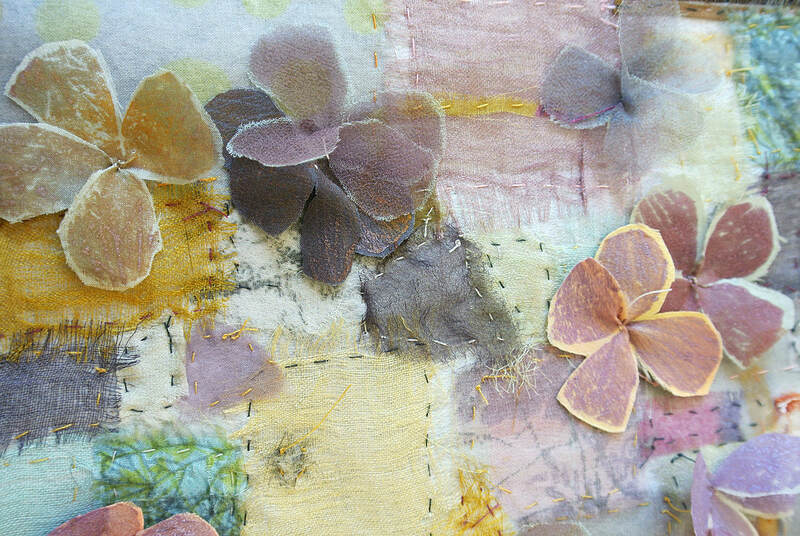 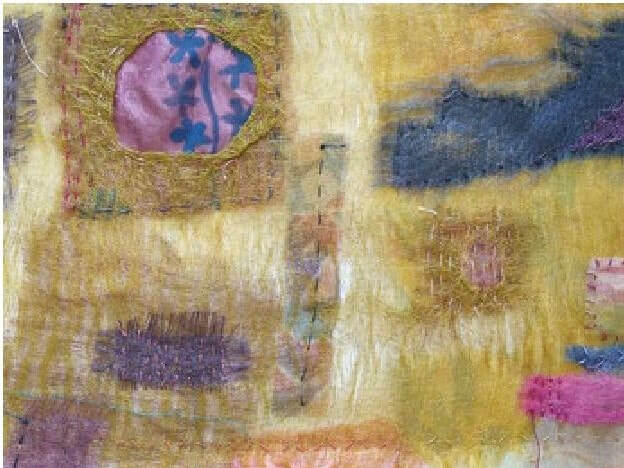 She dyes and distresses silks and cottons to create worn surfaces. 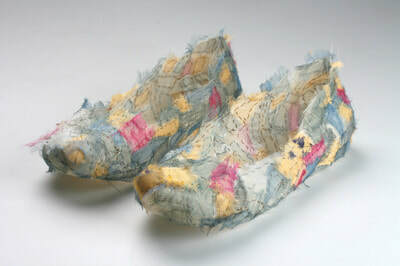 These are repaired and rebuilt with delicate hand stitches reminiscent of patching and darning worn out clothes. 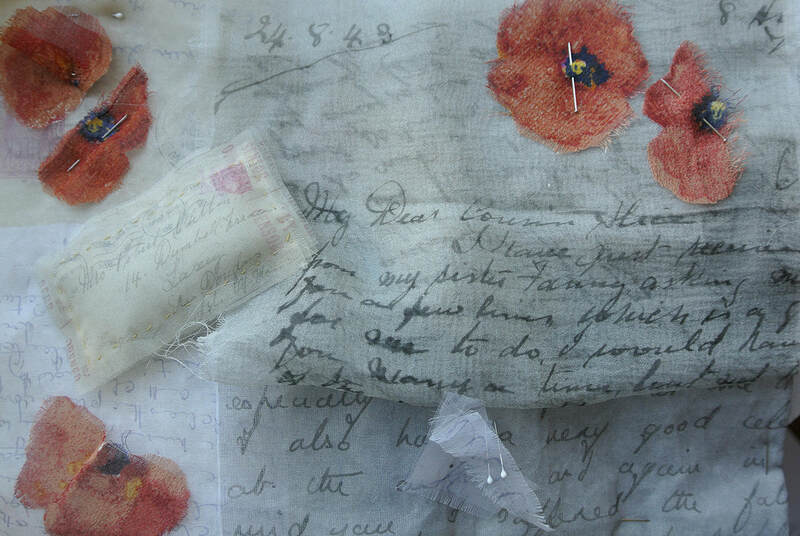 Prints from favorite special garments are used with drawings in the patches .